A project with the Elmbank Centre and Upland Member artist Hope London. 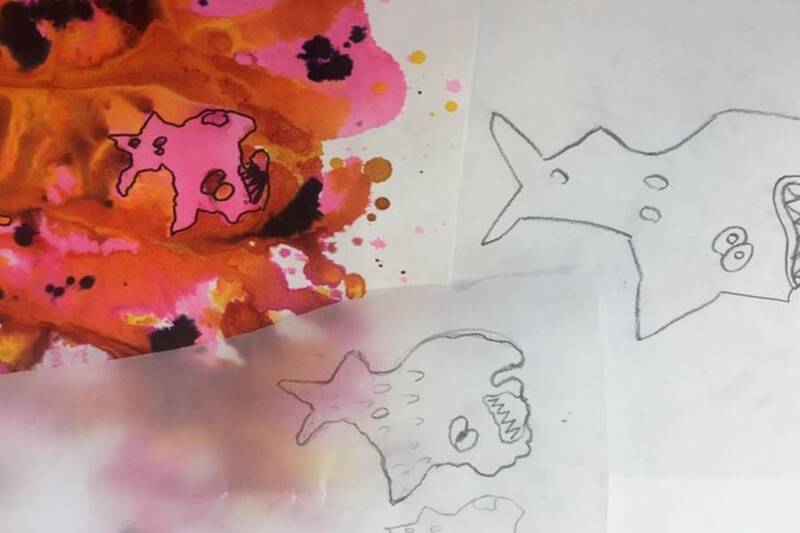 This project sees Upland Member artist Hope London work with pupils from the Elmbank Centre, which provides education for young people of secondary school age in Dumfries and Galloway with social, emotional or behavioural needs. Hope will be working with a small group of young people through a series of 10 workshops which will allow the young people to explore identity through both visual and narrative means in the style of a graphic novel. This project sits within Upland's wider Early Engagement strand, which enables schools throughout the region to gain access to high quality professional artists through a series of one off or short workshops. This project has been developed with Hope and Frank Hayes from the Elmbank Centre building upon a short series of workshops that took place during March 2017. The pupils will be experimenting with various materials throughout the sessions developing their ideas before honing them to create their very own graphic novel. This project is supported by Dumfries & Galloway Council's Regional Arts Fund.